Most Americans know very little about Sikhism. Maneetpaul Singh wants to change that. 05/24/2016: Sikhs have had to deal with racism and discrimination ever since members of the faith arrived in America more than 125 years ago. But prejudice against this religious group has taken an ugly turn in recent years, as Sikhs are swept into the rising tide of Islamophobia. Some of this hate stems from ignorance. Statistics show that many in the country know little or nothing about Sikh Americans. Maneetpaul Singh, a 22-year-old Sikh filmmaker from Connecticut, is hoping to help change that. He recently took to the streets of New York City with YouTuber Jagraj Singh to see just how much people knew about Sikhism and to help them learn more about its origins, principles, and people. Some of the people Jagraj spoke to in New York’s Times Square had never heard of the religion before. Maneetpaul told The Huffington Post that it is these folks that he’s hoping to reach. In the video, Jagraj takes a few people aside and leads them through a crash course on the religion. Jagraj Singh spoke to strangers in Times Square about Sikhism. The resulting short documentary, “They Called Me Osama,” covers everything from Sikhism’s founding in Punjab, India in 1469 to its core belief in the equality of all people, to what it’s like to be Sikh in America today. 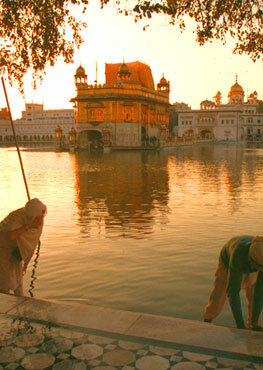 Sikhism is the fifth largest religion in the world. It is a monotheistic faith. Unshorn hair is one of the five elements of the Sikh faith. 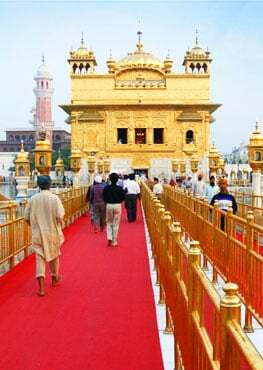 It is an outward sign of their faith and a way for Sikhs to allow their body to grow in the way that nature intended it. Some Sikhs wrap their hair in a turban, or dastaar, which is a reminder of the equality and royalty of all people. Some Sikhs who wear turbans have become targets of discrimination, hate crimes, and bullying, often by people who mistakenly associate the turbans with Islam. Maneetpaul interviewed several Sikh Americans who have been victims of discrimination in the past. Dr. Prabhjot Singh, a New York physician and academic, recounted how he was physically assaulted by a group of people who shouted Islamophobic statements at him. Japjee Singh, a student from Georgia, spoke about how he was bullied throughout his school years. Balpreet Kaur, a Sikh woman who has chosen not to trim her facial hair in accordance with her religion’s beliefs, spoke about how a Redditor posted a photo of her online, mocking her for her appearance — and about how the cyberbully eventually apologized for his post. In the documentary, Kaur said that she hopes the incident helped teach people that it’s okay to step out of your comfort zone to get to know people who are different. “The whole incident hopefully taught not only me but others how to embrace diversity and offers a glimpse of the sheer amount of diversity we have in our world,” Kaur said. Watch Maneetpaul Singh’s documentary above.